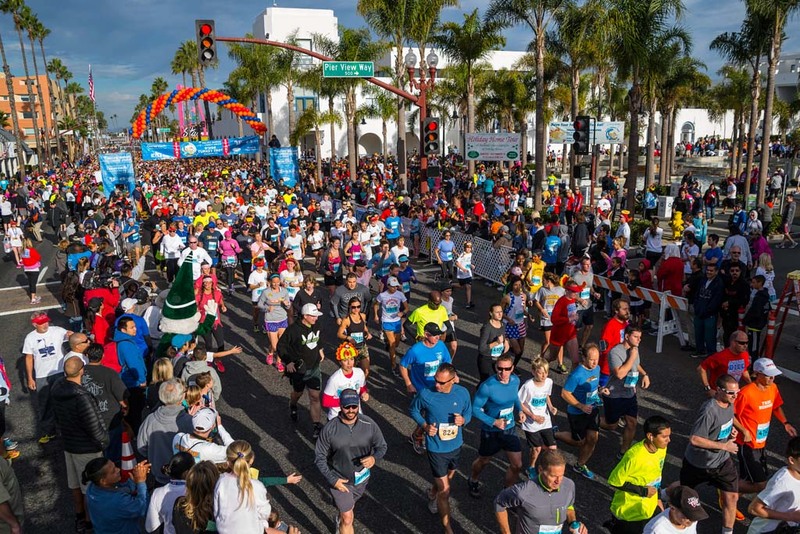 OCEANSIDE — Thousands are expected to take part in the 12th annual Thanksgiving Day Oceanside Turkey Trot. Among runners and walkers in the pre-race senior mile and race day 5K and 10K challenges will be elite athletes, annual participants and novice runners. The popular race draws international, statewide and local competitors. It was recognized by Runner’s World magazine as one of the top Turkey Trots in the country for its spectacular ocean views. The inspiration for runners to take on the Thanksgiving Day race is as varied as the participants themselves. Running in the elite starting heat of the Turkey Trot 10K will be last year’s race winner Okwaro Raura. He rocketed through the 10K in 2016 with a finish time of 33 minutes and 12 seconds. His race wins span first place in the 2014 Cardiff Kook 10K, second place overall in the 2014 Hollywood Half Marathon and first place in the 2013 and 2012 San Diego Half Marathon. This year Raura is competing in the USA Track and Field San Diego Imperial Cross Country Series, in which he has won three races so far. His top 5K time is an impressive 14:12, and 10K time a noteworthy 29:52. Fran Rettberg is a 76-year-old runner who took up the sport later in life. She has participated in nine of the 11 Turkey Trot 5K runs, and placed first or second for her age group each time she competed. Last year she placed first with a 5K time of 50:45. Despite her consistent wins Rettberg says she is not a runner. “I just show up,” Rettberg said. This year she will be walking the senior mile held the day before Thanksgiving, and perhaps the 5K if she feels up to it. “I’ve got to keep moving,” Rettberg said. The senior mile was added to the race schedule last year. Race founder and director Kathy Kinane said picking up 80-year-old participants who could not complete the 5K course prompted her to add the shorter distance. “I felt it was my responsibility to offer an alternative experience to elderly members of the community,” Kinane said. Kinane said her goal is to include all levels of athletes, and encourage people to embrace outdoor recreation as a daily part of life. What motivates Rettberg to compete is the energizing experience of being part of the event and the self-satisfaction in completing the course. Her inspiration to stay active came with her husband’s passing in 2000. She wanted to be a role model of hope and living life to the fullest for her children, grandchildren and now great-grandchildren, many of whom cheer her on at the Turkey Trot finish line. Top runners for each race and age group receive recognition and gift certificates provided by local businesses. Bragging rights for finishing among the top three in the notable race is perhaps the sweetest reward. Recognition and gift certificates are also awarded to teams with the most members, which in past years have topped 300 on a team. New this year is a $1,000 prize purse for best costume in honor of the fun Thanksgiving themed outfits runners wear. In past years Butterball turkeys, slices of pizza and pilgrims took part in the run. Entry fees go toward supporting local charities. Over the years the race has raised more than $270,000 for worthy causes.